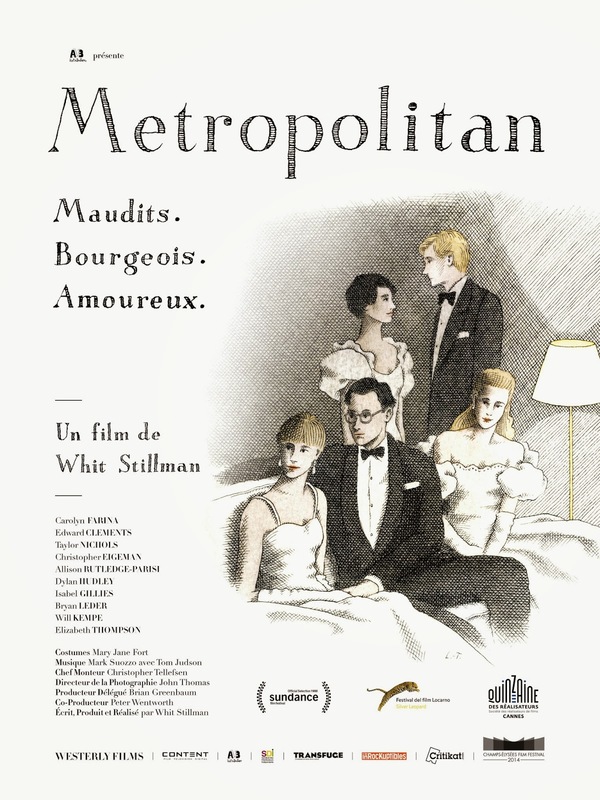 Whit Stillman’s first film, Metropolitan, establishes his themes of virtue, clashing sensibilities and young people finding their way in the world. Tom Townsend, (Edward Clements) a young upper west side socialist, shares a cab with a group of debutantes and their escorts. He subsequently becomes entangled in a world he was once morally opposed to—the world of the self-described UHB (urban haute bourgeoisie), simply pronounced “Ub”. Between conversations of downward social mobility and Fourierism, games of bridge and strip poker, Tom makes an impression on the group and becomes further entangled as the center of a love triangle. Tom hits it off with Audrey (Carolyn Farina), but also reconnects with his prep school girlfriend, Serena (Ellia Thompson). Although Metropolitan is told from the point of view of Tom, an outsider, it’s not a satire of the social scene. The film’s characters, while privileged perhaps, aren’t manipulative or mean like those of Gossip Girl; rather, they’re virtuous like the protagonists of a Jane Austen novel. By the end of the film, it is this noble quality that leads Tom and another character to take a cab all the way to the Hamptons in order to rescue Audrey from a supposed deviant (who turns out to be no threat at all). Stillman critiques his characters, but he also has a warm admiration for them. Ultimately, Metropolitan lands somewhere between mumblecore and Mansfield Park. Whit Stillman movies are, at their core, about sensibilities. They are comedies of manners—or a lack thereof. They are filled with characters finding their way through life, their principles confronted by an entirely new social culture. 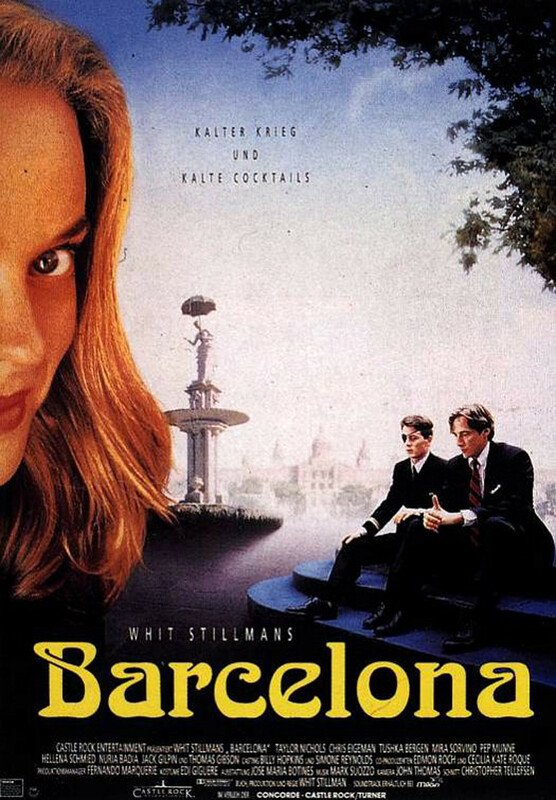 In Metropolitan, Tom met the urban haute bourgeoise, and in Barcelona, Ted (Taylor Nichols), an American businessman, meets Spain’s anti-American politics and confounding women. Ted’s cousin Fred (Chris Eigeman), a naval officer, visits him in Barcelona and their American politics and sensibilities are challenged by the Spanish women they meet — but this doesn’t undermine their relationships with them. Is it better to be blunt or have an air of mystery? Honesty does get Ted pretty far in the world of business; but then again, the Spanish women he encounters become more interested in him when Fred starts to make up stories about Ted’s appreciation for the Marquis de Sade and leather underwear. The Last Days of Disco is set in the early ’80s and further questions how to be true to thine own self, and what “thine own self” even is. The film focuses on Alice (Chloë Sevigny), a recent college grad, who starts a job at a New York publishing company with her fellow alumna Charlotte (Kate Beckinsale). Alice is more reserved and self-conscious than Charlotte, but still wants to take advantage of this new stage of freedom and mobility, whether socially, sexually, or career-wise. Charlotte, the more conceited of the two, urges Alice to take control of her own destiny as she herself does. However, when Alice acts upon these encouragements and has a one night stand with Tom (Robert Sean Leonard), an environmental lawyer from college, she contracts an STD and is ridiculed by Charlotte and Tom for being promiscuous. In an attempt to find herself, she becomes interested in Des (Chris Eigeman), a hypocritical “habitual drug user” and manager at the disco, as well as Josh (Matt Keeslar), a district attorney who went through manic depression in college (which Des mocks him for). The decadence of the disco scene and the characters that take part in it — Charlotte, Des and Tom — are eventually punished. As the era of Disco ends, they end up unemployed, and worse, single. Again though, these characters are not punished to be made examples of; they all experience self-doubt at points in the film and Des even asks if it would be better to be true to thine own self “if thine own self is pretty bad.” After all, these people embody disco, which, while decadent, has its virtues as all dance crazes do. As the characters in Stillman’s follow-up film, Damsels in Distress, state, “Dance crazes enhance and elevate the human experience, bringing together millions of people in a joyous celebration of our god-given faculties.” Likewise, the protagonists in Disco — while troubled — are redeemable. Final note: I interned for Stillman this past summer on his next film, Love & Friendship, which will be in theaters May 13th. He continues his themes of virtue, redemption, and challenged sensibilities. This time, he goes back to collaborate with an old friend: Jane Austen. I highly recommend it. Tags: Sam Archie. Bookmark the permalink.